The 2018 season saw some fighting performances from McLaren. They finished sixth overall on the Constructors' standings which put them above Force India, Sauber, Toro Rosso, and Williams. It could be said, in the battle between the mid-fielders, McLaren appeared sorted. Having gathered 62 points, much largely due to Fernando Alonso's tally of 50, McLaren were able to put forth some fighting performances. In addition to this, among their best performances came at the Australian Grand Prix, the season opener at Melbourne where thanks to Alonso's P5 and Stoffel Vandoorne's P9, the team gathered an impressive 12 points. But beyond that, their season would be jaded by mechanical faults and driveability issues with a car that didn't seem competitive. Therefore, at the conclusion of the 2018 F1 season, the talk shifted, expectedly, from what had been a lukewarm season into focusing for what lay ahead in 2019; and what could be done ahead. It all now depends upon the engineering prowess of the car and where the team is concerned, they've been clearly left with one task: to develop a strong 2019 machine. Now, of late, there seems to have emerged some kind of rumour regarding McLaren's 2019 car being developed on the lines of Red Bull. For the new season, Red Bull will be powered by Honda, a strategic alignment that left Daniel Ricciardo - according to many - in the cold about the uncertainty that would've left the team and therefore, his own performances in. Possibly this and a combination of other factors saw Ricciardo bow out and become Renault-bound. But regardless of whatever developments gathered steam at McLaren, the grapevine, if that's what it is, surrounding the car being nearly 'copied' on the lines of Red Bull's new produce refused to die. This is when Carlos Sainz, all set to get behind the wheel of the McLaren, offered some clarity. He was quoted as saying, "I think it's very straightforward to say that the team is copying a chassis," Sainz, McLaren's new Spanish driver for 2019, said. "I'm sure there are ideas from all the teams that McLaren has looked at, but that happens in formula one and in all the categories that I have raced in." But that said, it remains to be asked whether the decision of Red Bull now set to move to Honda power birthed these rumors in the first place or is it a result of some weird paddock gossip whose aim is to keep the attention of the media inclined toward such discussions? 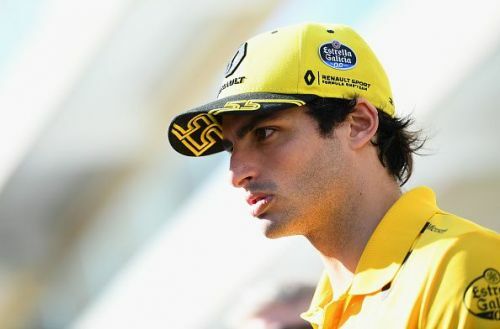 All that said, Carlos Sainz Jr. also had a few pointers in regards to the new car's development for the 2019 season, still 3 months away. The young Spanish driver, arguably McLaren's number one man for 2019 shared that, "McLaren has learned a lot from the mistakes that were made" with the 2018 car. "That's why I see everyone very impatient for next year to arrive," Sainz said.